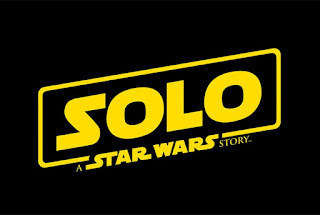 After months of rumors, director changes, and speculation of just how bad this could be we finally have our first Solo: A Star Wars Story full trailer. The Trailer debuted this morning on Good Morning America following a short Super Bowl 52 ad last night. My initial reaction is Eh! The teaser trailer portrays the film as a cluttered cash grab, and I cannot help but think that is what this actually is going to be. Now it appears we know why we had to wait so long for this footage or any marketing from Disney at this point, specifically of Alden Ehrenreich as the iconic smuggler: Han Solo. Alden looks more like he is doing a bad imitation of Han Solo on SNL than he his bringing the character to life. All this being said I will be finding a babysitter, and one of the first in line to see this movie, because it's Star Wars, but I have a bad feeling about this! Solo: A Star Wars Story hits theaters Memorial Day weekend 2018!